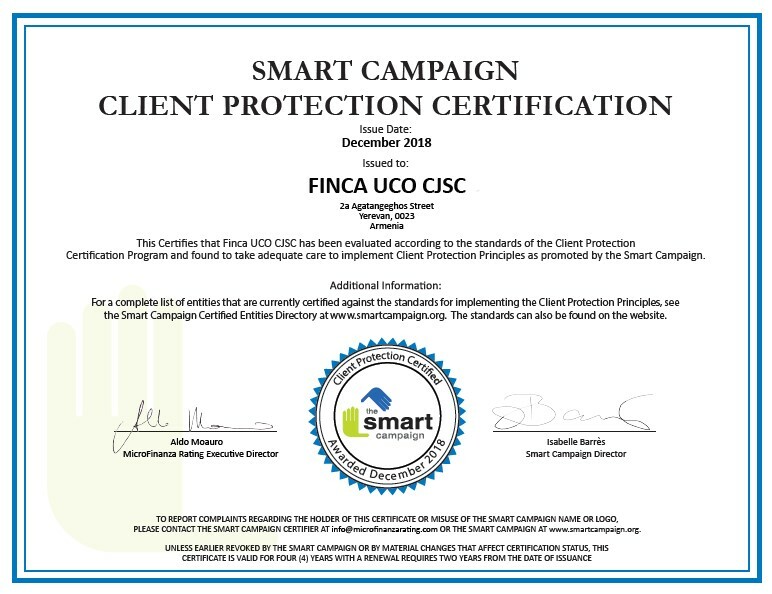 FINCA Armenia has received Certification from the Smart Campaign in recognition of its long-standing commitment to client protection. This comes after a rigorous independent review process found the organization has upheld industry-leading client protection standards in providing responsible finance. One of 20 microfinance banks and institutions that make up the FINCA Impact Finance (FIF) network, FINCA Armenia joins FIF subsidiaries in Ecuador, Georgia, Kosovo, Kyrgyzstan, Nicaragua and Pakistan in receiving Smart Certification. FINCA Armenia is the first institution in Armenia to be recognized by the Smart Campaign for upholding the highest industry standards in responsible and ethical treatment of customers. 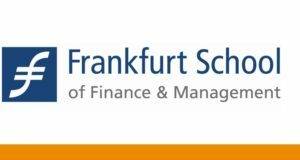 In addition to marking a significant milestone for the organization, this certification is also an important event for the Armenian microfinance sector in general. 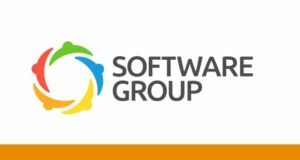 Smart Certification is recognition of our long-standing commitment to putting customer interests first. As the first institution in the country to be certified, we are setting a new benchmark for client protection and helping develop a more client-centric environment in the Armenian market. The Smart Campaign is a global initiative promoting client protection in the microfinance industry. The certificate affirms that FINCA Armenia demonstrates full commitment to the Smart Campaign’s seven Principles of Client Protection: appropriate product design and delivery; prevention of over-indebtedness; transparency; responsible pricing; fair and respectful treatment of clients; privacy of client data; and mechanisms for complaint resolution. FINCA Armenia is part of FINCA Impact Finance’s network of 20 banks and microfinance institutions that provides socially responsible financial services to enable low-income entrepreneurs and small business owners to invest in their futures. For more information, visit www.finca.am and www.FINCAImpact.com. 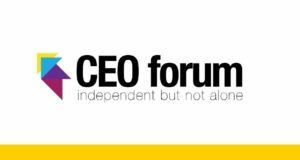 The Smart Campaign, an initiative of the Center for Financial Inclusion at Accion, is a global effort to unite microfinance leaders around a common goal: to keep clients as the driving force of the industry. The Campaign’s Client Protection Principles were developed in 2008 and are intended to protect clients, businesses, and the industry as a whole. FINCA is a founding member of the Smart Campaign.